i appreciate that we try vaguely impossible things. Dove is visiting Acorn with her 4 kids. To the casual observer we can’t absorb this number of children, particularly in that there is only one parent, but we are trying anyway. We are willing to risk falling in love with these charming people and not quite knowing how it is that they can live in a place which has a waiting list and is well under capacity for bedrooms. Fortunately, we are not casual observers. Dragon did an amazing job of prettying up the Rec Collective. Until the weather got warm it was being used as a dorm for all the interns and guests. This is a receipt for entropy maximization. Take a slightly small oddly shaped one room straw bale and fill it with a constantly rotating collection of scruffy hippies and it will clutter and start to rot. Fox and a team of declutters shifted it from funky mattress and random junk hell and made it something usable, Dragon took the set up and made the place really nice. Dove’s two oldest girls, Bob and Anonymous, were reading and playing guitar in this newly liberated space. 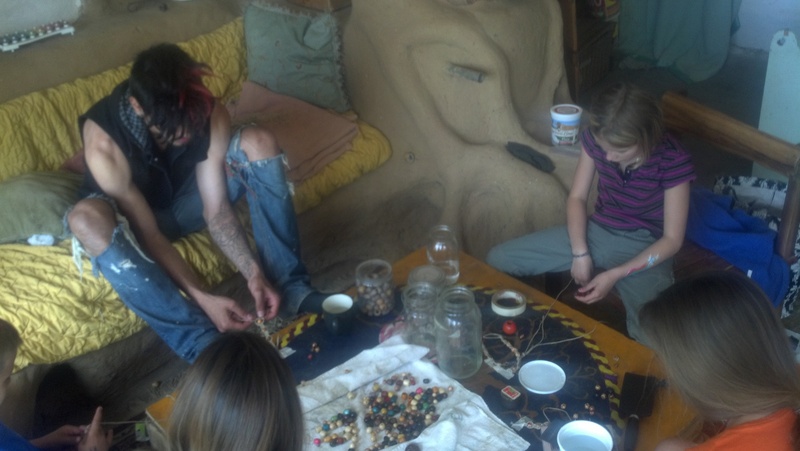 Dragon had offered to teach the girls necklace making and beading if they wanted to learn it. When Dove went back to tell him the girls were excited about the offer, i told her to tell Dragon “This work is labor creditable.” A phrase i have been using at Twin Oaks for a decade and a half. But it’s meaning is very different here, and something worth exploring, especially for pioneers of new communities. Acorn has a soft quota. 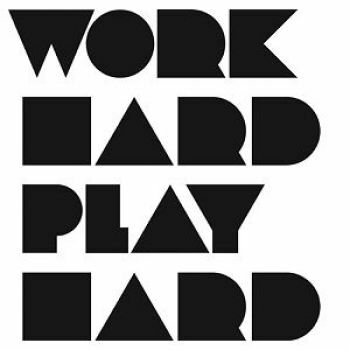 You are supposed to do 42 hours of work a week, but very few members (mostly just the dual members and some pure Acorners who are into keeping track of stuff) actually account for their labor. If people rarely see you working or volunteering to take things on in a community meeting, they might wonder what you do. It is a topic which comes up in some clearnesses. But at the end of the day Acorn trusts its members to work enough and that some combination of work ethic, guilt and gentle pressure from other members will keep up with the big task of operating this place. Twin Oaks has a hard quota. Budgets are agreed upon. Labor sheets are created. Personal labor is tracked by every member and submitted to be tallied for a vacation balance. Area labor is tracked by all responsible managers and variances (over budget or under) oft result in some type of corrective action. There are a scores of labor budgets and more than a handful of different labor systems in play – new member hours, flex hours, Personal Service Credits, Personal Affairs Leave, Labor Exchange with another community, labor collective hours, pension hours and more. When you say “this is labor creditable” to someone at Twin Oaks, it really means something. You are going to record this and get credit for it and it matters. At Acorn, generally speaking it does not matter. No one is counting, it is not going to get logged somewhere. It is still my belief that even without the beautiful labor system that Twin Oaks has, the average Acorner works more hours in a week. But i also think the average Acorner parties more as well and we just dont get as much sleep around here. Indeed EW is definitely a third path. As it has a different governance system as well. Yes, thank you for your blogging Paxus. It really helps me get a better sense of the place (and at least one of it’s members). :O) I love the labor credit system and all the flexibility it offers. Looking very forward to a visit this summer! Eric i am so glad you will at least have some interesting times as a function of OkCupid and it is my pleasure to blog. i am glad you find it useful.